Are you wondering what is the secret to a flawless eye makeup? It is all about having the knowledge about using the correct techniques and tools. No matter what eye shadow you use, if your technique is incorrect, you will never be able to ace a flawless eye makeup look. It is important to know the various parts of your eye and use brushes accordingly. Step 1:Neat your eye brows using the spooley. Step 2:Apply brow pomade using the angled brush. Step 4:Apply highlighter on the brow bone using the brow bone. Step 9: Apply a shimmer shade on the inner lid and middle of the lid. Step 10:Apply a matte shade on the lower lash line using the same brush. Step 7: Apply the Matte Darkest shade on the Deep Crease and Outer Corner of the eye. Step 11:Highlight the inner corner other of the eye. Step 12:Highlight the brow bone. Step 14:Apply eye shadow on the lash line for a more flawless eye look. 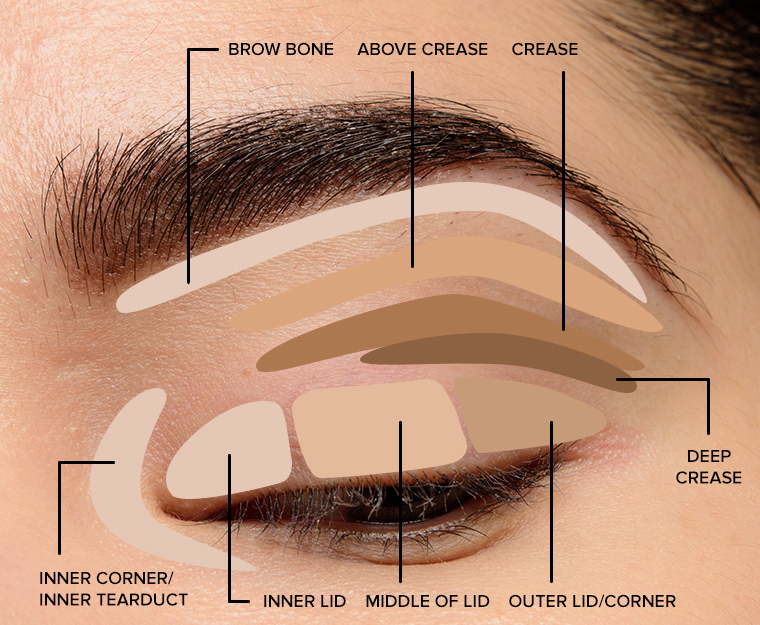 Now don’t say we never told you how to ace your eye makeup! Let us know your thoughts.